May 14 to 20 ONLY – every $50 gift to the Tour earns you a chance to win a pair of Canopy Pants, courtesy of Arborwear. 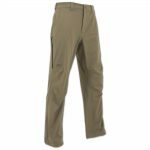 These high-quality, breathable pants are perfect for work or outdoor adventures. The prize drawing will take place on May 23, and the winner will be notified promptly. Thank you for supporting the Tour and good luck!